When hard-drinking, streetwise soul singer Deloris Van Cartier witnesses her violent mobster boyfriend commit murder, Philadelphia law enforcement decide to relocate her for her protection. They decide to hide her in the one place nobody would think of to look for a woman such as Deloris. A convent. Disguised as a nun, Deloris' sudden and unexpected arrival proceeds to up end the otherwise tranquil lives of the resident sisters. 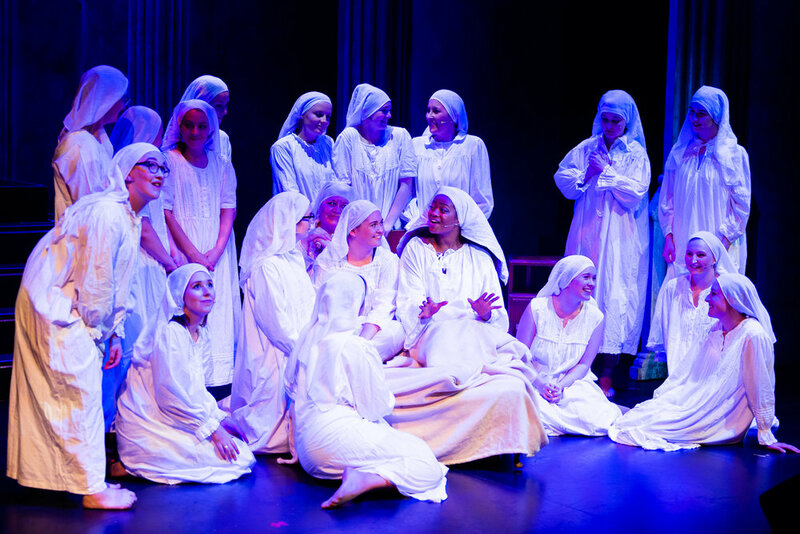 When her musical and vocal skills become apparent, they assign Deloris to the convent's, ahem, less than tuneful choir, an ensemble that she soon turns into a vibrant and soulful act that gains widespread attention. 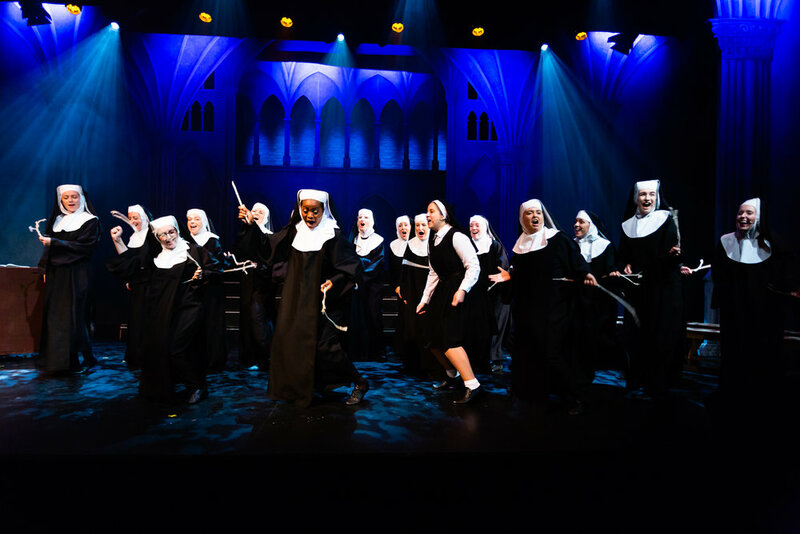 Simply Theatre's foray into Sister Act was nothing short of intrepid, but then Simply Theatre have never shied from a challenge. Alan Menken's score is by no means easy to perform. Imagine the almost impenetrable trickiness of one of Sondheim's more challenging pieces, and now apply that to a soul and gospel score and you are somewhere close to how difficult this musical is to perform with any degree of success. 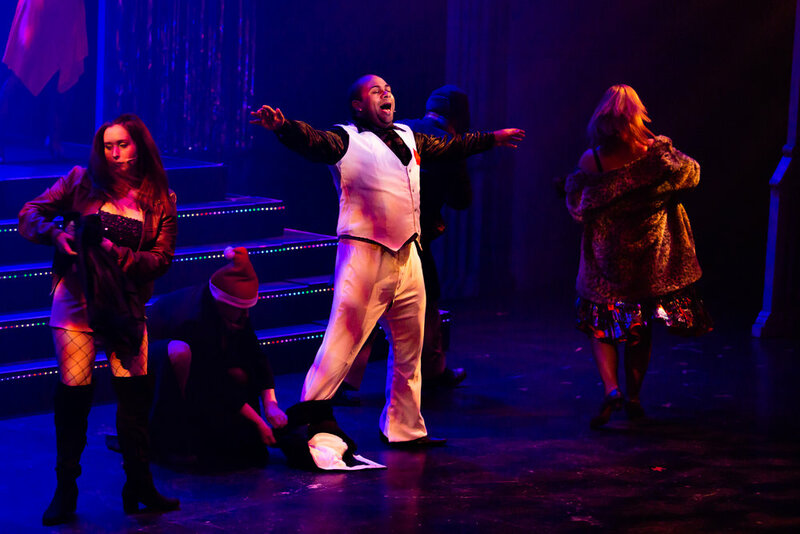 Not a problem here though, as throughout the show the cast and band joined beautifully together under the expert baton of MD Danni Stembridge. The sheer joy radiating from the stage as the dancing and singing nuns gradually found their soul feet was palpable and infectious. 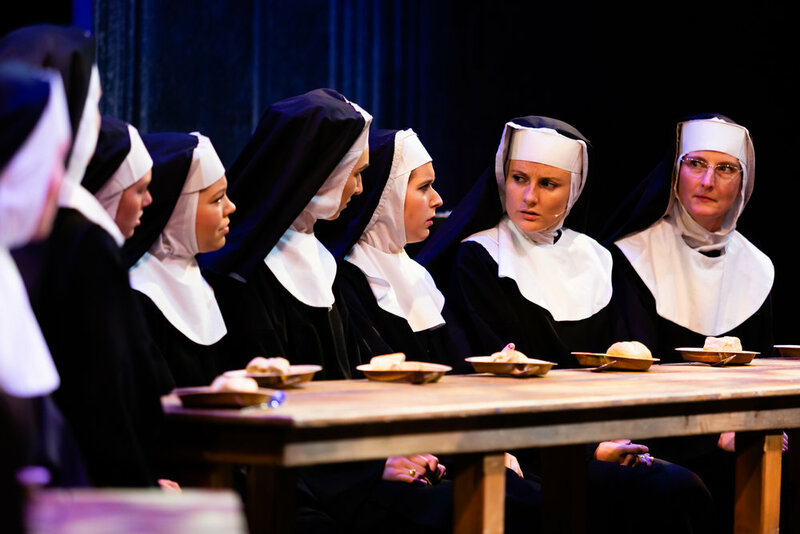 One of the highlights of this show has always been, of course, the nuns. As the story unfolds we see these timid and sometimes mischievous sisters transform into booty shaking, soul singing, rap stars. 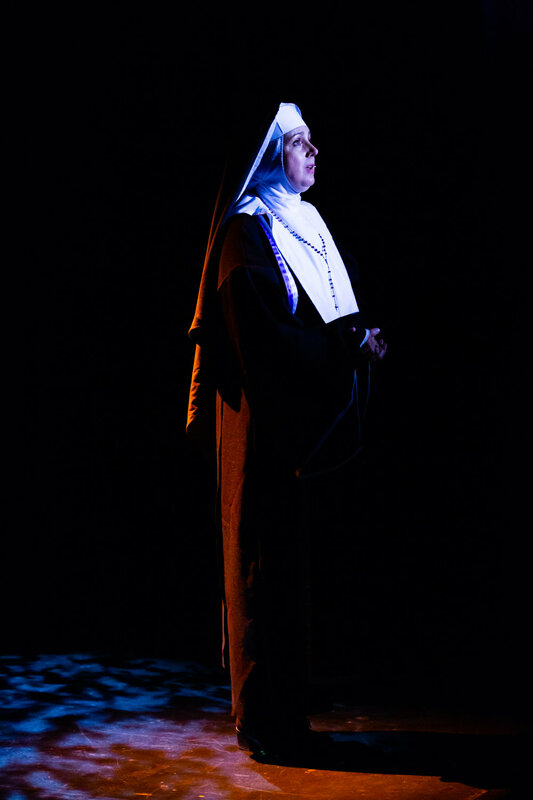 Anna Bingham's Sister Mary Robert was a joy to watch, while powerhouses Darea Ellis and Philippa Leadbetter as Mary Lazarus and Mary Patrick stole the stage with amazingly energetic performances. A nod here must go to the sharp choreography from Megan Swaisland and Robyn Brown. 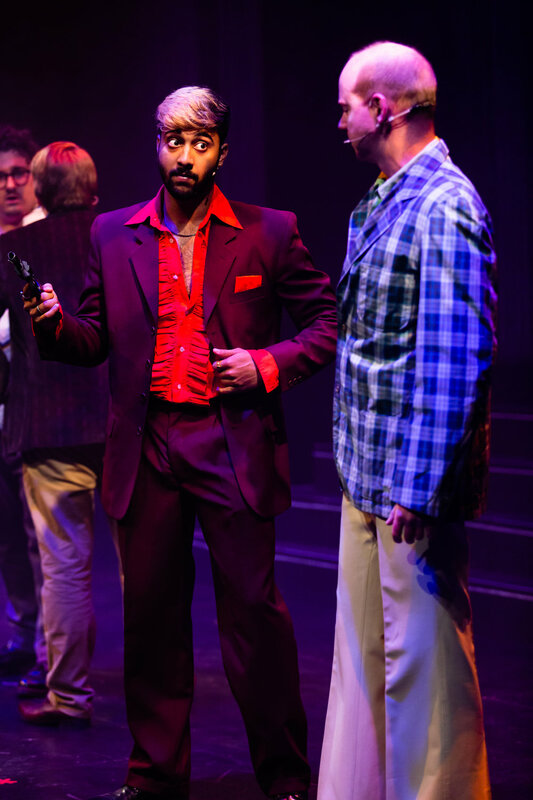 Each and every member of the cast, without exception, brought a spirited and committed performance to the show, there are far too many to list here, but special mention must go to Akhil Gowrinath's Sweaty Eddie, the hapless cop who wowed us with his song “I could be that guy”, Martin Day's sage, wise and ultimately funky Monsignor O'Hara and Maria Langford's delightfully underplayed and sensitive portrayal of Mother Superior. The lighting, sound and staging departments headed up by Charlie Anderson and Gary Oliver (lights) Mark Hastings (sound) and Matt Hough (stage manager) gave us a very well designed show that came together beautifully to highlight the more subtle and tender moments, then switching deftly to transform us to the glitz and big, loud, exciting sound of a live soul concert. Overall this sell-out show was an absolute belter. 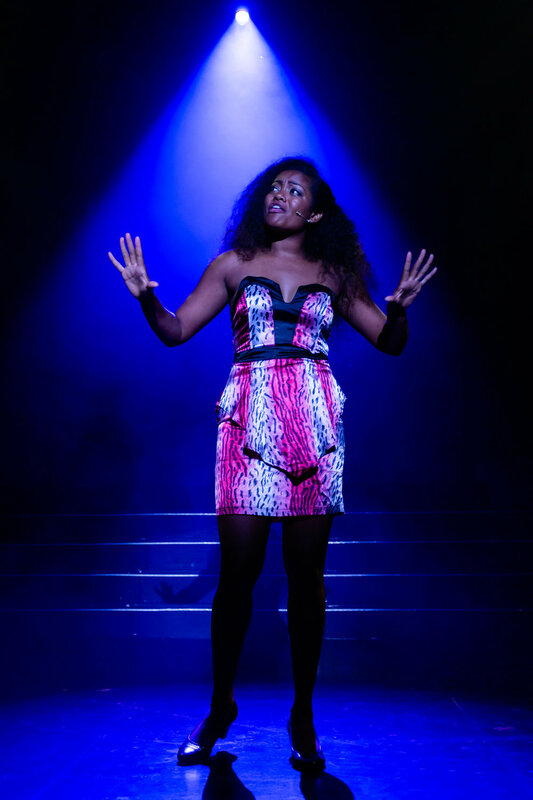 Alison Lawrence's deft and intelligent direction took us swiftly through the piece, sometimes at breath-taking speed, and left us crying out for more. We were blown away by the sheer joyous power of the full ensemble when we needed to be, and then subtly drawn in to observe the quieter moments. 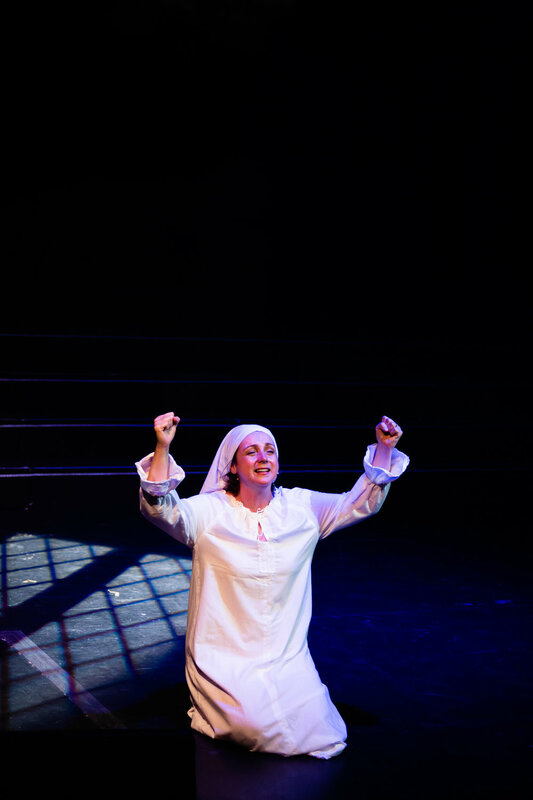 Simply Theatre seem to go from strength to strength with each production they produce. They are definitely one to watch and we should be excited to see what they come up with next. I know I am.